I’ve bought myself a dot-to-dot book. 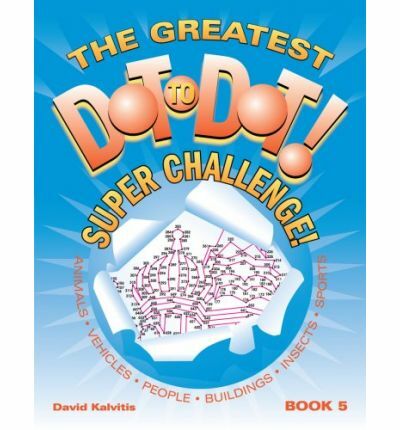 Yes, a dot-to-dot book, just like the ones that many of us enjoyed when we were children. Join up the dots, and a picture appears. Now these puzzles are, it must be said, a little more complex than any I completed as a child. One has over 1,300 dots! Glancing through, I could hazard a guess at what some of the pictures might turn out to be, but with most I have no idea. Nonetheless, despite its complexity, it is still, undeniably, a dot-to-dot book. God will join up the dots. In other words, God will make connections between all those seemingly separate and unrelated points in our lives. He will join them up and draw them all together, incorporating each and every one into the picture he is creating. We may not be able to see how things will turn out, but he can. Now I do not mean by this that God himself positions every “dot” on the “pages” of our lives. I do not believe that everything that happens is pre-ordained as part of his “good, pleasing and perfect will” (although I recognise that others might say that it is). But I do believe that somehow, in ways that I do not pretend even to begin to understand, God is at work. He is there, right in the midst of it all, joining up the dots and fashioning a picture that is beyond anything that we could envisage. So I am going to enjoy completing my dot-to-dot puzzles. I hope that spending a little time on this “pointless” activity (despite its many points!) will rekindle just a little of my childlike spirit. And perhaps once in a while I’ll reflect on the fact that God is at work on a multi-dimensional puzzle of his own, and that “he will join up the dots”.